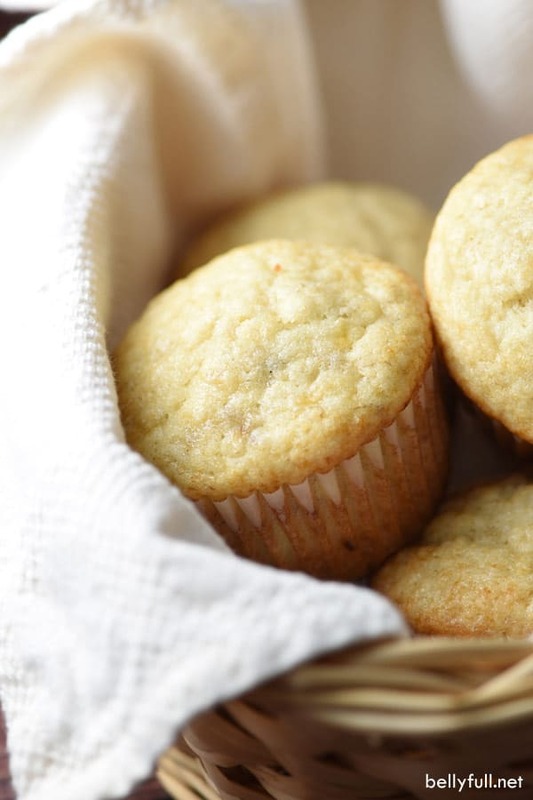 These Quick One-Bowl Banana Muffins are light and tender, with fresh banana throughout. So easy and only one bowl, making clean up a breeze. 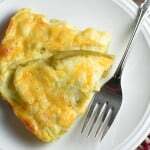 Perfect for breakfast on the go! It’s Monday! 11 in the morning for me…aaaaand I’m still in my pajamas. Contrary to what a lot of people think of self-employment and working out of one’s own home, this is actually very rare for me! I’m usually up at 5am, go for a run, shower and all that, check messages before waking up the kids, and then work about a 12 hour day. But. Today is the first official day of summer break. We’re all a little off this morning – we haven’t even eaten breakfast yet. EEP. 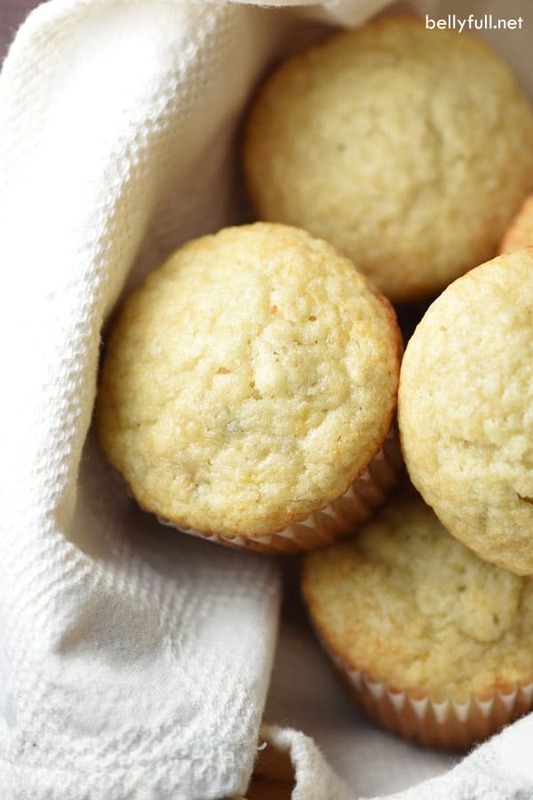 These banana muffins are in the oven as we speak, though! 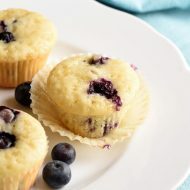 I think it was actually at the end of last summer when I became obsessed with my One-Bowl Blueberry Muffins. They were a total lifesaver for those rushed school mornings. Well, I started using bananas in them instead, and they have become a family favorite. And since I always seem to have overly ripe bananas that need to be used up, these get made a lot. We all love them so much. Light and tender, and so flavorful, they don’t even need a glaze. My favorite part? 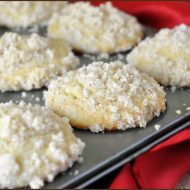 They are so easy, quick, and practically mess-free, I can whip up a batch even on the busiest of mornings. Or in today’s case, lazy mornings! 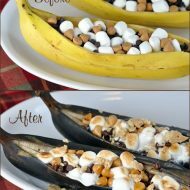 Other banana recipes you might enjoy! Check out the video to see just how easy this is to make! 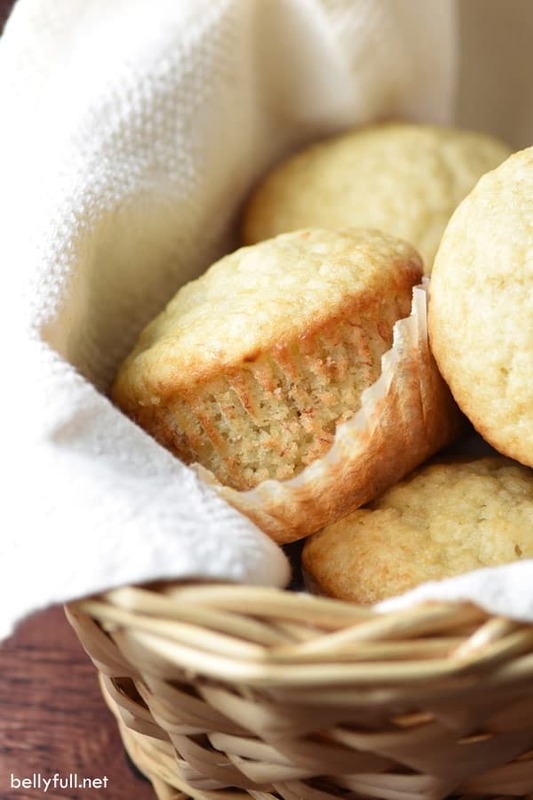 Preheat oven to 400º F. Line a 12-slot muffin tin with paper liners. In a large bowl whisk together the flour, sugar, baking powder, and salt. Using a measuring cup that holds at least 1 cup, add the vegetable oil and egg. Then fill to the 1-cup mark with the milk. Add vanilla and whisk until combined. Fold in the mashed banana. Evenly divide the batter between the muffin cups filling about 3/4 full. 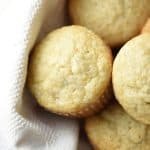 Bake for 18-20 minutes until tops are no longer wet and a toothpick inserted into the middle of a muffin comes out with crumbs, not wet batter. Remove from oven and allow to cool for a few minutes. Eat and enjoy! I made some for my brother-in-law who LOVES banana bread and he actually ate them for his dinner one night because he “could not wait until breakfast”. 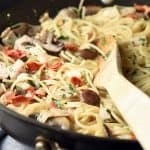 Thanks for sharing this quick, inexpensive and delicious recipe. 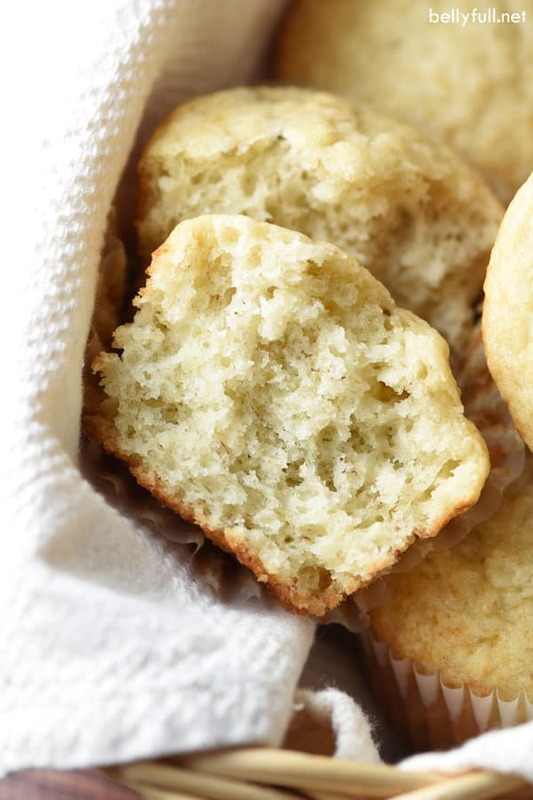 Oh my, we are addicted to these muffins! 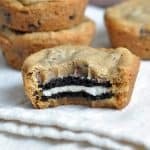 They are so fast and easy to make, they may become a staple around here. I have made a couple of variations, all of them good. For one, I added chopped walnuts and the other I added blueberries. Next I’m going to try both chopped walnuts and blueberries. Can’t go wrong with this batter. Well, I just made these muffins for the second time. They’re so fast and easy, and I always seem to end up with over ripe bananas. Good use for my ripe bananas! What perfect timing for this post. I bought way too many bananas this weekend and need to use them before going bad. We love banana nut bread, so I may even add some chopped walnuts.